This week’s Design File is about Mies van der Rohe’s classic Barcelona chair. I have a total thing about chairs and did a piece a few years back for By Design about my lust for them (which is in Podcasts: Collecting Chairs). Fast forward to today and I’m still a lover of chairs. As I age, though, I become more hung-up on comfort. Another favourite is the Grand Confort chair by Le Corbusier (or, to be strictly accurate, Charlotte Perriand, who designed all the furniture that came out of LC’s atelier). It’s a wonderfully simple idea – a tubular steel cubic frame into which boxy leather-covered cushions are placed. It’s mass-production heaven, so easy to replicate, which is why you see so many cheap copies. And it’s comfy, at least for the first few minutes, until you notice that the flat seat slopes forward with your weight and you start slipping forward towards the floor. The flat back cushion gives little support so you really need a squishy cushion to fit in the gaps and give you some lumbar support. So the chair looks great but doesn’t perform. But does that make me like it less? Absolutely not, because I am very forgiving when it comes to early Modernism. This is pioneering stuff and designers were experimenting, coming up with new shapes and forms that simply hadn’t been seen before. This chair is one of my favourite possessions. 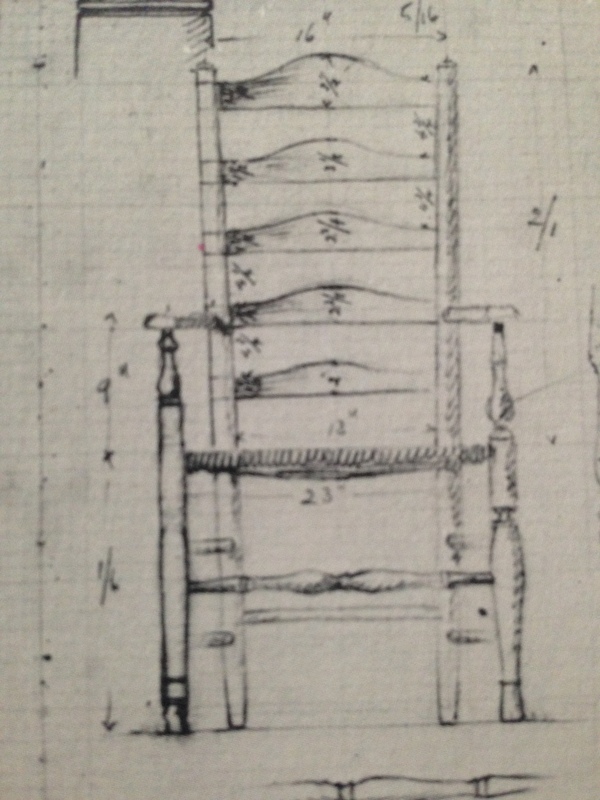 I think it’s by the Arts and Crafts designer Ernest Gimson because it follows the precise measurements of the same chair in Gimson’s sketchbook (which is in the RIBA collection). It would appear to be made around the 1890s. I picked it up in a market in London, thinking it looked familiar. 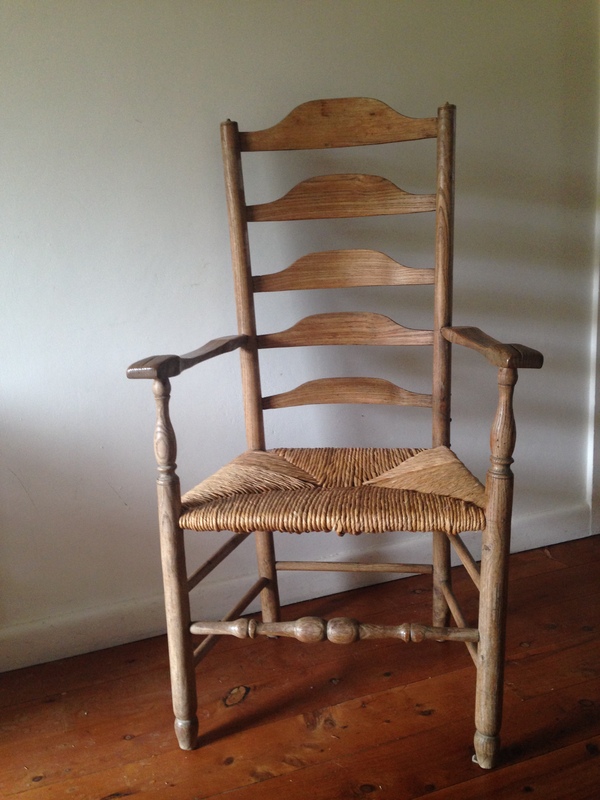 Whether it’s a Gimson or not, it is a lovely, honest piece of furniture. You can see precisely how it’s made (the score marks are still visible where the pieces fit together) and the grain in the ash wood and waxed finish mean that you cannot sit in it without running your hands along its arms. It’s not a lounging chair but a serious, upright chair. The seat is at a good height, too, enabling perching rather than a full-on commitment to sitting. When my partner counselled clients from his office at home, he chose to sit in this chair – he felt empowered by its simplicity. 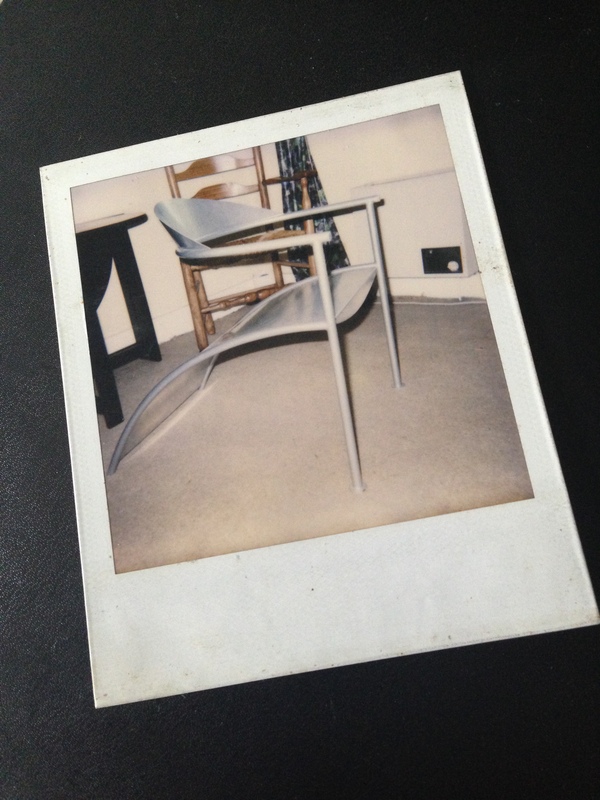 I sold this chair before I emigrated to Australia and wish I hadn’t. Designed by Philippe Starck in 1985, it’s an example of a chair that looks supremely impractical and yet is oddly comfortable. Made from sheet steel, that sloping rear seat gave everyone the willies. Just as a child thinks he’ll slip through an open-tread staircase, everyone who sat on this thought they would slip down the back of this chair and get wedged in the framing. The metal was chilly on a winter’s morning but it was a lovely piece, a touch of the Cyberman but with better legs. I regret selling it (especially when I see what they fetch these days; I just breathe in and try to think non-materialistic thoughts). Another Philippe Starck chair, the Costes chair appeared first as a dining chair in 1984 with three legs to reduce the tripping hazard of four legs in a busy cafe environment. The Cafe Costes was a marvellous cafe close to the Centre Pompidou in Paris. 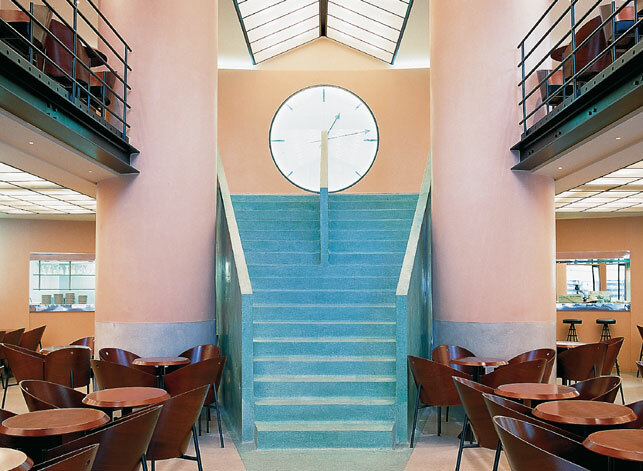 With its sweeping staircase, acid pastels and clear graphics, it felt so fresh, especially among the traditional large cafes of Paris. The men’s lavatories were challenging, the first of that type with running water on the walls and oddly angled glass receptacles so you were not quite sure which was a basin and which a urinal (and I’m pretty sure many got it the wrong way round). The chair was my desk chair when I worked at Designers Guild. The rounded back was supportive, the leather seat pad comfortable for a whole day’s sitting, and I just loved the look of it. The only slight drawback was the stability. You had to remember it lacked a fourth leg. Several times I was on the telephone and leaned back without thinking, promptly disappearing under the table. One might say it was a Buddhist chair in that it encouraged mindfulness. A chair is a like a person. Its legs and arms give it personality. Just as we all have favourite people in our lives, don’t we also have favourite chairs? 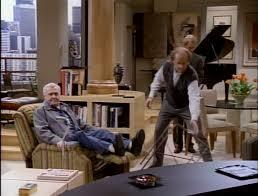 I like the look of the Arts and Crafts chair. Appears very comfortable and looks like the designer thought about a human body actually sitting in it, unlike my four modern dining chairs which are instruments of torture. There was a nice exhibition in Sydney in 2010 as part of the Sydney Architecture Festival ‘THE ITALIAN WAY OF SEATING – FIFTY YEARS OF ITALIAN CHAIRS’. I also have a huge poster w/220 chairs from an exhibition in Sydney many years ago f the Vitra Design Museum Collection. My fave chair? The Saarinen ‘Womb’ chair. Thanks for your lovely comments, Ambra. Dining chairs are notoriously awful, aren’t they. 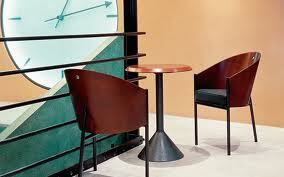 Perhaps that why Thonet have done so well with some of their cafe chairs – they work! I was away for that exhibition in 2010 and wish they would do one again. 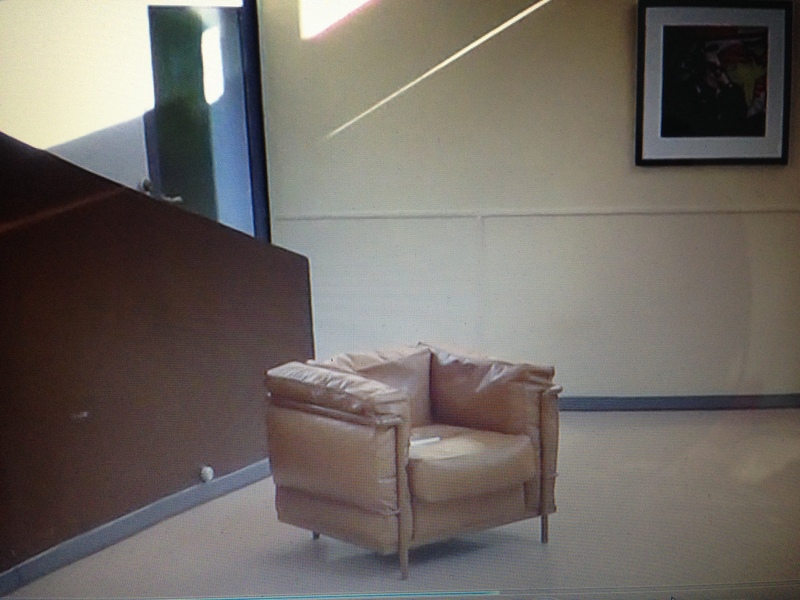 The Womb chair is great – another chair where the designer has really understood the body. Great post. Really thought provoking. 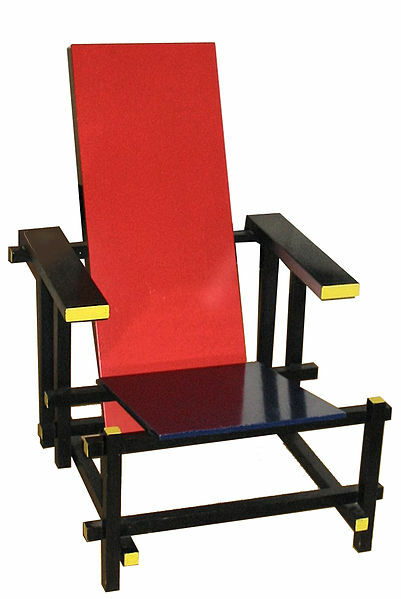 Like Ambradrambra, I really like the look of the Arts & Crafts chair for comfort and response to the human form – but for pure art it has to be the De Stijl. I’ve never really thought much about chairs, but your comment about your partner feeling powerful in a particular chair made me think about where people sit in our house. We all have our ‘own’ chairs – even the dogs. It is an unspoken agreement. It also made me think about chairs and status. How the ‘head of the table’, the monarch, the VIP often has a unique chair to mark out their superior social position. In fact, these days, they are even called ‘Chair’s’ …. Thank you for such great comments! In my piece on Collecting Chairs (in Podcasts) I say that you cannot imagine a sofa being a throne as it’s too democratic, sharing its space. Chairs are so individual, and I’m always interested to see which chair my eye is drawn to when I enter a room – tends to be the ‘seat of power’, the dominant person’s chair!